Jesus says let the little children come to me. The Bible says children are a gift and a treasure. But does it say anything that can give a little hope to a weary, worn out Momma? Maybe not directly, but in scripture it says if you come to Him, then He will give you rest. It sounds wonderful, but is it actually doable? What does it look like to come to God? And how can a busy Mom manage to squeeze one more thing into her already busy schedule? These are questions that I once asked myself. I may not have as many children as you, or have the same kind of schedule as you do, but I do know how overwhelming it can be at this stage. You have to care for the needs of so many people and your own, and it can be stressful and overwhelming on a daily basis. So how do you balance all of the kids, laundry, meals, and never ending housework? The answer is Jesus. In my experience, no matter how busy you are, if you make time for Him, He will give you rest. This doesn’t mean a beach vacation for two. It could be as simple as the baby napping long enough for you to do a load of laundry, drink a cup of coffee and check your Facebook and emails. It might mean being able to squeeze a nap in for yourself, or maybe even sleep through the night without children interrupting at 3 a.m. for a drink of water and a tuck in. Whatever the case may be, it only happens when you turn to Him. 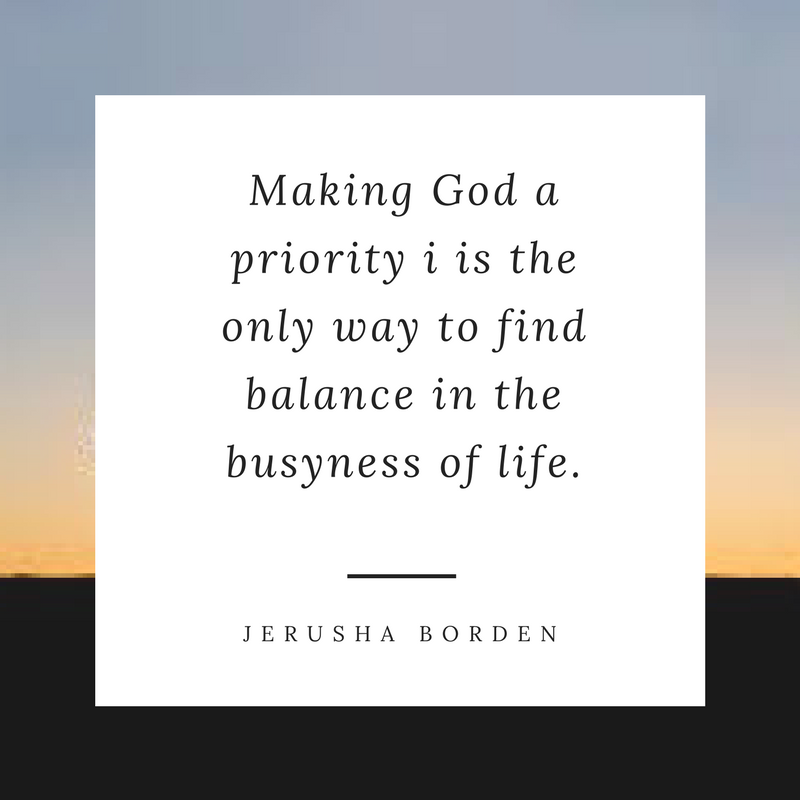 Making God a priority in your life is how to find balance in the busyness of life. Intentionally carving out a time in your day to meet with Him is not easy, but it is rewarding. Making it a priority to get the kids up and ready for church on Sunday mornings is not an easy task, but an essential one. Reading your Bible and spending time in prayer may feel like just another thing to add to your to do list, but this what feeds your soul. As you make time for these important things, you will find you have more time to rest, and dare I say…relax? Another reason it is important to spend time in the Word is because it helps to calms the fears and worries of a mom who fears and worries. Even though we know that worrying is more harmful than it is helpful, we still do it. We worry about finances. We worry about our kids – will they succeed in school and a career, will they make good and lasting friendships, will they always have enough to eat and clothes to wear? In the run of a day, it seems like a million worries can flitter in and out of our mind. How do we stress less in all of this mess? When you turn to God, and trust in Him, He provides for you. He can help you stay on top of finances, and care for your children because He cares about you. 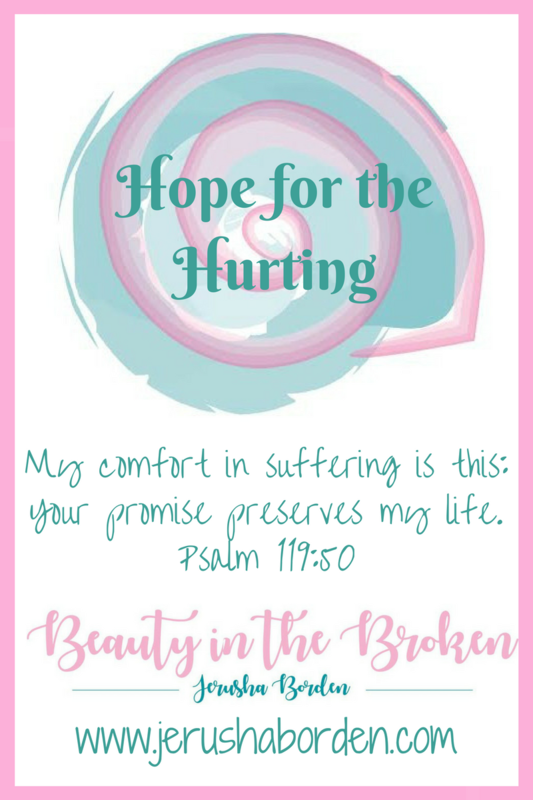 When you spend more time with Him, you will feel the peace and assuredness that the popular catch phrase “God’s got this!” proclaims. These feelings will slowly replace fears and worries in your life. When you are less stressed, you are more rested. When you are less worried, you are more at peace. When you are spending time with the Lord, you will discover joy.